Find My Workspace lists over 95% of the executive office suites market in Boulder. Simply click Request Quote to check pricing for one office, or Add to Basket for multiple offices. The center has flexible term agreements with24/7 access professional conference rooms to host clients, high-speed internet, unlimited printing & convenient mail services beautiful common spaces for casual meetings. 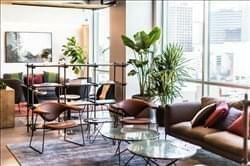 This center features three floors of move-in-ready private offices and coworking space, as well as on-site parking to make cold-weather commuting easy. When you rent a private office at Level, you’ll have everything you need to run your business as soon as you move in, including office furniture, direct fiber internet and WiFi, and your company logo printed on your office door. There is also an espresso bar, beer on tap. networking events and more. 42nd Street (Manhattan), Boulder - Walnut St. The Front Door of the Tech Industry located on Walnut St. in Boulder takes collaboration to a whole new level, with creators, innovators, and passionate learners under the same roof. 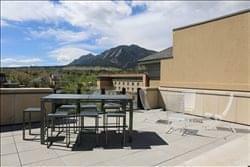 And don’t forget the rooftop, with gorgeous views of the Flat Irons. From events to the thriving startup ecosystem to the tech talent from the Web Development and Data Science school – the Walnut St. campus provides the opportunity to learn, connect and build your company. This center is full of energy, intelligence, and motivation – walk through these doors, join the community and be inspired. To obtain information for your selected Boulder Executive Office Suites, please tick the "Add to basket" box for each office you prefer and complete the form below. We will then send a detailed report via email.